Lake Tahoe is a preferred vacation, wedding and romantic getaway destination. Vacation at Lake Tahoe is a perfect rendezvous with nature. Lake Tahoe promises the splendor of nature at its best - captivating scenery, quaint chapels, alpine lake, snow-clad mountains and more! A trip to Lake Tahoe will appease your quest for a perfect vacation - fresh air, tempting leisure activities for adults and kids, comfortable holiday rentals to suit all budgets, gourmet restaurants and alluring nightclubs. True to its nickname, 'America's All Year Playground', Lake Tahoe experiences snow every month of the year, making it a year-round ski vacation destination. Be it a summer vacation retreat, romantic honeymoon destination, ski vacation destination or adventure holiday, abundant excitement awaits everyone at Lake Tahoe ski resort. The word 'Tahoe' means 'big water'. Located at 6,200 feet above sea level along the border of California and Nevada, Lake Tahoe is a natural lake. The striking shoreline of Lake Tahoe is shared by California and Nevada and measures close to 72 miles. It is the second deepest (1685 ft) lake in United States next to Crater Lake, Oregon. Ranked tenth deepest in the world, Lake Tahoe is admired for its crystal clear water with clarity level close to 100 ft (30 m deep). With 63 streams flowing into the lake and surrounded by mountains of granite, Lake Tahoe is 22 miles long and 12 miles wide. Visitors can fly in to the nearby Reno Airport or choose to drive on all-weather highways from Reno, Sacramento, San Francisco and Los Angeles. Adding to the beauty of the lake area are 31 beaches and picnic areas. While you can reserve the mornings for water and snow adventures like rafting, skiing, sledging and snowmobiling, enjoy the nights dancing and dining in famous casinos. Prepare an itinerary so that you can savor the attractions of Lake Tahoe and enjoy a vacation of a lifetime. Drive the 72-mile stretch around the beautiful lake and enjoy the scenic beauty. Cruise through Emerald Bay located en route, which is one of the most photographed sites. Trek down 1 mile to Vikingsholm Castle. Built in 1929, it is one of the finest examples of Scandinavian architecture. Cycling or mountain biking with dear ones is an experience of its own. Go skiing; Lake Tahoe boasts of more than 8,800 ski resort acres. Many of these ski resorts at Lake Tahoe are suitable for kids, first-timers and champions. Without skis, your options are tubing, sledding, snowshoeing and snowmobiling. Select Tahoe rim trail and go hiking. It is an excellent opportunity to get closer to nature. Hike to desolate wilderness or trails located around the lake. 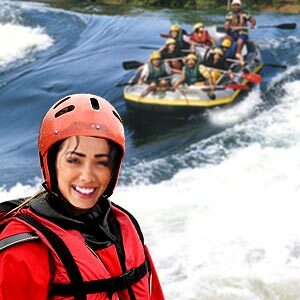 White-water Truckee River rafting in North Tahoe can prove to be really adventurous and fun vacation. Float silently in the air as you feast on a never-before look at the lake from the hot air balloons. Take a ride on Gondola Car, a trip covering 2.4 miles up the mountain. In just 15 minutes you enjoy a breathtaking view of the lake. 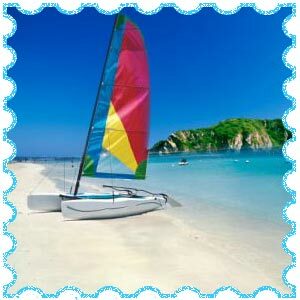 Experience summer (May - October) special activities that include boating, kayaking, swimming, fishing and parasailing. Don't miss the picturesque golf courses. At 6200 feet above sea level, the ball travels 25 yards farther, challenging even the experienced lot. 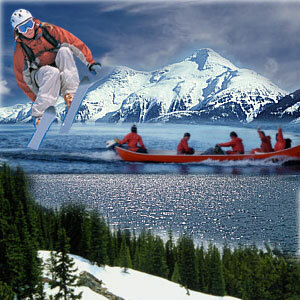 Apart from skating, skiing, hiking, snowmobiling, the kids vacationing at Lake Tahoe get to enjoy a variety of other activities designed especially for them. Entertainment in the form of kits, shootouts and magic shows make Lake Tahoe vacations an unforgettable experience. Tallac Historic Site was built between 1894 and 1923. It has three historic properties that offer a glimpse of the early settlers namely the Baldwin, Pope and Heller families. A one-to-one interaction with theatre artists, listening to a porter's experience, sharing a painter's joy of producing a masterpiece are things you can look forward to. Vikingsholm Castle was built in 1929, once a summer home of millionaire heiress Lora Knight. Look at some of the fantastic collection of Mrs. Knight's Scandinavian antiques that provide a glimpse into the past. Truckee Donner Historical Society founded in 1968 runs the Truckee's historic jail museum, a 19th century jailhouse. The museum exhibits artifacts such as early skiing equipment and some historical photographs. Sand Harbor is famous for its sandy beaches. Numerous rocks scattered across add beauty to the beach. It is a preferred destination for scuba diving and snorkeling. Squaw Valley, USA is a famous destination for ice skating and swimming for it was here the Winter Olympics was held in 1960. With nearly 16 world-class ski resorts, Lake Tahoe promises a wonderful skiing and snowboarding holiday. With an annual snowfall of about 10m, Lake Tahoe ski resorts provide skiing challenges for children and adults alike. Various snow activities such as skating, snow-mobiling, snow-shoeing, ice climbing, mountain biking, sleigh riding, ballooning or even playing snow golf are a major attraction at the ski resorts of Lake Tahoe. Vacationers favor the South shore of Lake Tahoe as it offers a wide range of outdoor activities. Entertainment coupled with dining facility in the casinos seems to be a perfect way to wrap the day after an adventurous morning. You have an option to choose economy and moderate hotels, rental homes, cabins, lodges, condos, luxury resorts, casinos or inns. It is best to select a central location, which allows you easy access to sall the lake and mountain activities. Enjoy gambling at the numerous casinos or watch a cabaret, sample delicious cuisine or go bowling, shop for Native America crafts or take your nuptial vows. Shopping boutiques, adventure activities, leisurely walking trails, casinos and ski resorts - vacations in Lake Tahoe are made of these! First Published Date: Jul 12 2006 Last modified Date: April 25 2019 This page may have been updated recently as new information is available or the content may have been edited for better readability.